Find the video or video segment you want to embed. 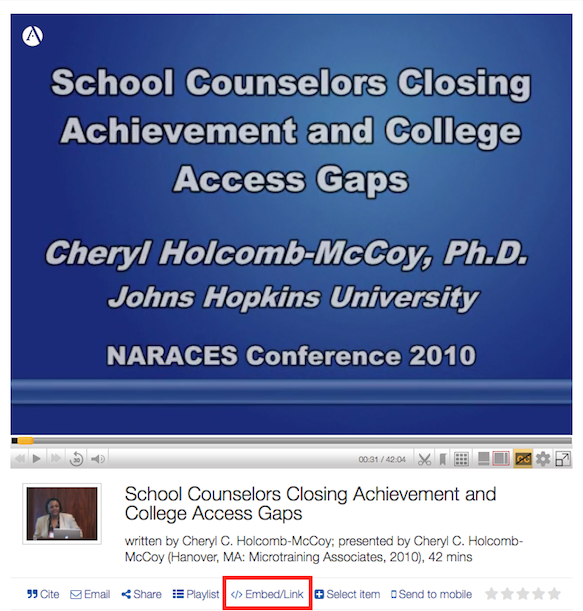 Below the video, click on the "Embed/Link" link. 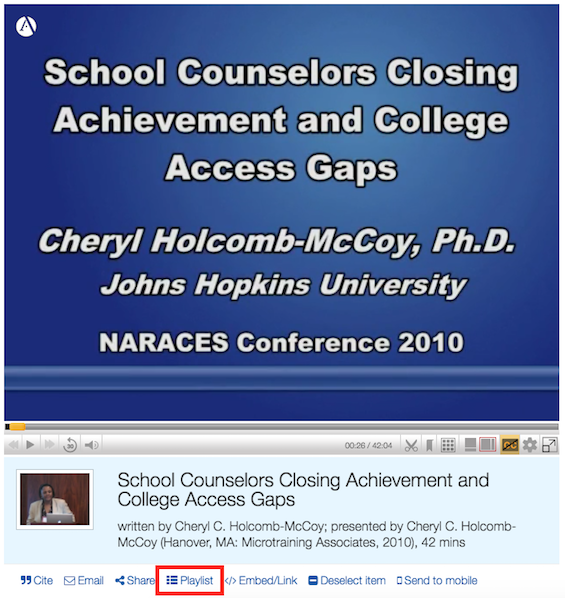 To link to the video (recommended), copy the link from the top box and paste into Blackboard - no proxification is required. To embed the video in Blackboard, copy the code from the lower box. Your students will be prompted from within the video player to log in to view the video from off-campus. Follow the instructions in Blackboard for embedding video - no proxification is required. Find the video you want to add to a playlist. Click on the "Playlist" link below the video. Click "Sign in" to save the playlist. 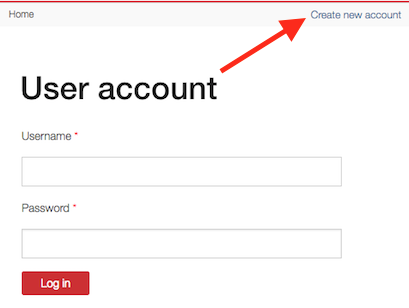 If you don't have an Alexander Street Video account, click on the "Create new account" link in the top menu bar to create your account. Otherwise, sign into your account. Select the playlist to add the video to, or create a new playlist. Click on "Search all content" at the top-left of the page. Log in to view your playlists. Select the playlist you want to share. Edit the playlist to change the visibility options. Select either "Everyone at my institution" (easiest option) or "Just my class or group". If you select "Just my class or group" you will need to add the email address for everyone you want to share the playlist with. At the top of the page, click the "Save changes" button. Click the "Embed/Link" button to get the URL for the playlist (we do not recommend embedding the playlist). Copy and paste the URL into Blackboard.